Rising Stars, Inc. is a NY- based non-profit youth developmental program that uses basketball as a vehicle to promote education and reinforce the values and life skills essential for children to make correct decisions during their formative years. Rising Stars, Inc. was founded by Paul Savramis and utilizes basketball as a tool of positive encouragement for at-risk youth. Savramis has been nationally lauded by school administrators and social agencies alike for his dedication to instilling a sense of community in the organization’s participants. In past years, Rising Stars, Inc. has welcomed the talents of basketball greats like Jim Valvano, Larry Bird, Magic Johnson and a host of others as ambassadors and representatives of its programs. Rising Stars, Inc. has received dozens of testimonials and awards of excellence for its work including citations from the governor of New York and the President of the United States of America. Mission Statement: The mission of Rising Stars, Inc. is to utilize the game of basketball as the vehicle to promote education, reinforce values and provide youth with a safe environment to PLAY, LEARN AND GROW. The ultimate goal of programming at Rising Stars, Inc. is to provide structured, youth-centered activities which will provide participants with the skills and mindset, which will lower the ever-growing poverty rate, promote healthy living and focus on the rewards of academic success, leadership skills and building constructive relationships within the family, community and society as a whole. Rising Stars, Inc. utilizes the power of “teams” as a conduit to mentor, teach, train, empower and enrich the lives of the youths in local communities. 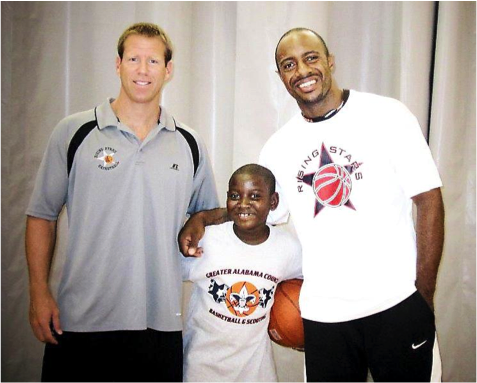 Rising Stars, Inc. was founded by basketball pioneer and visionary, Paul Savramis, as an extension to his summer camps in 1996. His goal was to create programs that teach impressionable youths integrity, respect, and the importance of teamwork. 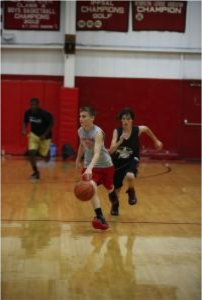 Prior to Rising Stars, Inc., Savramis had successfully founded Eastern Invitational Basketball camp and a number of other summer programs. Paul Savramis believed strongly in the power of teams and that sports was the perfect vehicle to promote education. After attaining 501C (3) non-profit status in 1996, Paul Savramis began a series of after-school clinics and formed teams that kids could be a part of all year long. Eventually, Rising Stars, Inc. experienced severe growing pains and was forced to temporarily suspend many of its programs. Soon, however, the organization’s good work paid off when former students and alumni approached Paul Savramis with new ideas on raising enough funds to sustain the program. 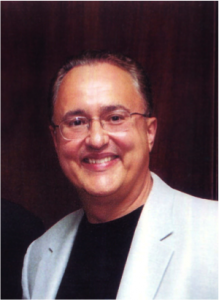 Among them was Dan Gimpel, a former pupil of Savramis and Rising Stars, Inc. alumni. Mr. Gimpel had experienced firsthand what was possible as being part of Rising Stars, Inc. and brought that knowledge to new backers and sponsors with a passion. Gimpel took on the mantle of Executive Director in 2007. Gimpel was instrumental in the development of the Rising Stars, Inc. current board of directors, adding a girls program, and building a stronger foundation for Rising Stars, Inc. for years to come. In 2009, Rising Stars, Inc welcomed another alumni and Savramis pupil, former Chicago Bulls player and ESPN analyst, Jay Williams to its leadership team. Savramis, Williams and Gimpel (with the help and guidance of former HS principal, Althea Williams, mother of Jay Williams), developed a stronger educational model for the organization with programs that inspire positive behaviors and life-long personal responsibility. Today, this group, with the assistance of dozens of community leaders, parents, and educators, combine their efforts to help guide boys and girls from fourth grade through early adulthood. Rising Stars, Inc. has partnered with the New York Knicks, YMCA, Goodwill, and other youth-centered programs to ensure that all students regardless of background have the tools they need for success. Executive Director Dan Gimpel, Director of Operation Tom Hughes, and Girl’s Director Bethany Lesueur oversee the team component process and have been doing so for over 12 years. Dan has been a product of the program as a player and now directs every aspect of team activity for the organization along with Bethany Lesueur and husband Tom, who has been instrumental in building the girls program. According to Paul Savramis, Rising Stars, Inc. sees competition as a way to apply life skills developed, such as leadership, responsibility, and setting goals. Competition begins in 3rd grade for boys and girls and is available throughout high school. During this time, the ultimate goal of Rising Stars, Inc. is to provide kids enrolled in the program with continuity. Teamwork, sportsmanship, and the benefits of hard work are recognized and rewarded with the knowledge that players remain with the teams they began with. Grade point average and performance in school, the role they play in the community and all aspects of life off the court are equally important to the skills demonstrated on the court. The Rising Stars, Inc. goal is to keep the players they begin with, not replace them throughout the years. That is one of the most important aspects that makes Rising Stars, Inc. different. Another is the quality of staff. Every one of the coaches is a teaching professional, has played at the college level, and has coached at the high school level or higher. 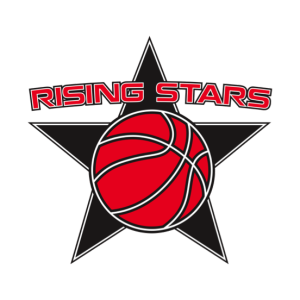 Through the programs at Rising Stars, Inc., all players are provided with the opportunity of college exposure through tournaments and leagues throughout the spring and summer. Rising Stars, Inc. has a long list of relationships with divisions 1, 2, and 3 colleges. Over the past 2 years, over 20 kids have gone to play at the college level. Rising Stars, Inc. strongly believes that almost all learning occurs early in life and that it is accomplished during Play. The problem is that the quality of play has diminished to the point that many children stop playing sports prior to entering HS. Rising Stars, Inc. enrolls children through its clinics and camps into yearly programs beginning in grade 3 and offers competitive teams to its participants following K-4 instructional clinics. Each team is comprised of children from all walks of life who learn to work together despite any social and economic differences. The ultimate goal is to see each team member remain as a part of Rising Stars, Inc. and flourish both on and off the court. 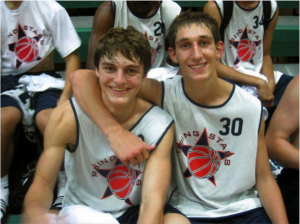 Rising Stars, Inc. strives to keep players on the same team throughout HS and until program completion. According to Paul Savramis, the goal is to see all of its participants graduate HS and successfully matriculate on to college. Rising Stars, Inc. seeks to accomplish that goal by providing academic support. Since the program’s inception, over 90% of its participants have gone on to attend college with many of them continuing to play basketball at a college level. Rising Stars, Inc. has guided thousands of children through its award-winning day and overnight camps and its internationally renowned clinics. 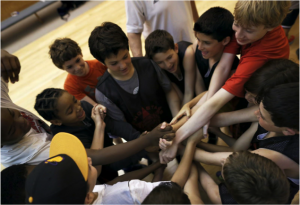 These are all overseen by a team of basketball professionals and educators that understand the needs of youth and who know how to use each clinic as teaching tool. A strict limit is placed on enrollments, which allows the participants to enjoy individual attention with a coach-to-player ratio of 5:1. This was designed purposefully to give each student the time and attention they need to develop their skills and confidence. It also allows for better communication between students and coaches and allows teachers to identify special needs of participants at an early age. Rising Stars, Inc. has benefited from the guidance of Jim Valvano (an early mentor to founder Paul Savramis) and hundreds of the game’s top players and coaches. 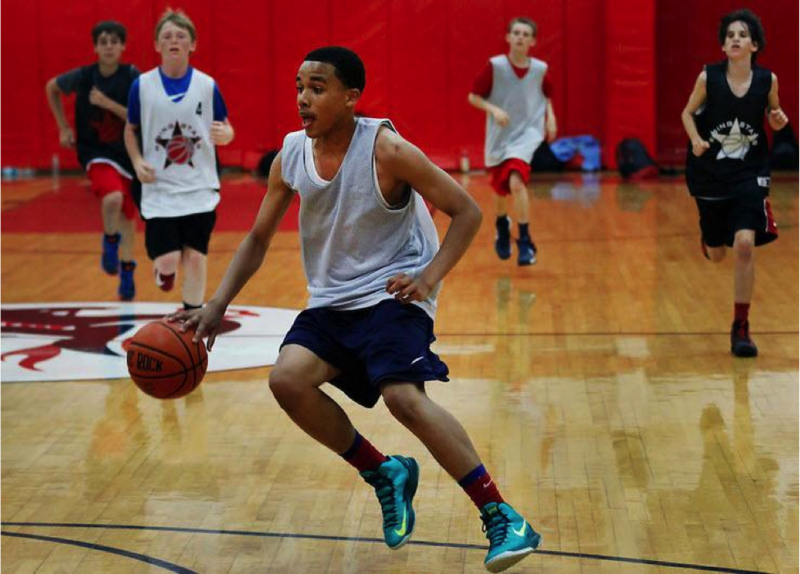 Rising Stars, Inc. clinics are available nationwide and range from one-day programs to year-long teaching events. Each clinic is interactive and designed for boys and girls to become a part of the learning experience. Specific skills may be tailored for beginners and advanced-level athletes alike. More than just showing children how to play, Rising Stars, Inc. encourages participants to get hands-on experience with every aspect of the clinic. Paul Savramis who obtained his master’s degree in physical education from Queens College in New York understands the value of athletics in shaping young minds. The philosophy of the Rising Stars, Inc. leadership is simple; involve them and they will understand. The goal of Rising Stars, Inc. is to develop every Rising Stars participant into a more complete person equipped with the tools to make the correct decisions when faced with many challenges during the formative years. 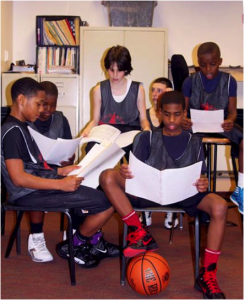 Rising Stars, Inc. strives to develop a more balanced individual that utilizes sports as a vehicle to improve academic achievement, build character, and help them develop greater strength emotionally, socially and individually. Rising Stars, Inc. asks each child to attend a “core curriculum” of educational seminars that deal with social and community related issues. These include seminars on drugs, alcohol, and tobacco, bullying and how to live a healthier life overall. The core curriculum includes doing community service in one of the partner organizations or serving as a counselor for the younger teams. The Rising Stars Education Fund was created for underprivileged and at-risk children with the opportunity to attend private school who would otherwise likely not succeed in public schools. The Rising Stars, Inc. commitment to education is lifelong. This program has had proven success in helping young kids in the program to graduate high school, attend college, and become ready for the real world. Developing a personal relationship with recipients and families gives the children a great chance to have success. Currently, there are 11 scholarships provided for boys and girls in the tri-state area. The goal is to significantly increase the number of scholarship recipients and broaden the partnerships with potential high schools in the tri-state area and beyond. One of the bi-products of the Education Fund is the Memorial Scholarship program. Through the many people Rising Stars, Inc. attracts and touches, they have been fortunate enough to develop relationships with families and friends who have lost loved ones to keep their legacies alive. Currently, there are two scholarships to remember Ryan Fitzgerald and Brian O’Mara. Ryan Fitzgerald Memorial Scholarship – Created in 2002 to honor the memory of Ryan Fitzgerald, who was lost in the 9-11 tragedy, this program is offered to those children in Rising Stars, Inc. who best exemplify Ryan’s strengths and hope for a better life. The commitment of Rising Stars, Inc. every child that enrolls in the programs is life-long. 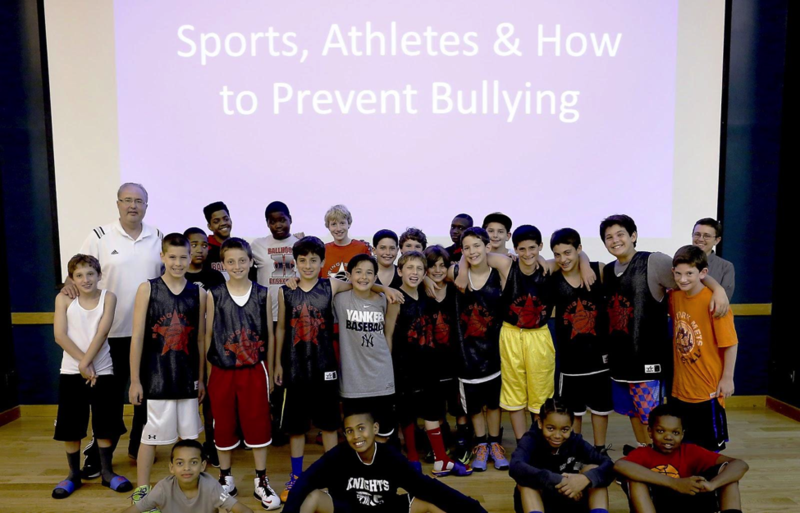 Rising Stars, Inc. believes in a healthy balance between sports and academics, which is vital for emotional, social, mental, and physical well-being. Their healthy living program stresses the dangers of obesity, which can lead to diabetes and numerous heart conditions. This health and wellness program promotes healthy and active lifestyles that children and families need. A moderate amount of physical activity such as running and playing sports can have significant health benefits. The goal of this initiative is to integrate all of the benefits of a healthy lifestyle into everyday activities. The main Rising Stars, Inc. goal is to keep children moving, educate them about healthy nutrition, and reinforce the importance of education and staying in school. For nearly twenty years, the program Paul Savramis founded has helped young men and women develop skills they for tomorrow by engaging in sports activities today. Several of Savramis’ students went on to play high school, college, and even pro basketball. According to Paul Savramis, what really matters is that Rising Stars Inc. gave these young players a better chance to realize their potential. Recently retired, Savramis lives in Long Island, New York, where he enjoys surfing and other leisure pursuits that help him stay active. In addition to his passionate work with Rising Stars, Savramis supports the Ronald McDonald House and the Children’s Cancer Research Fund.